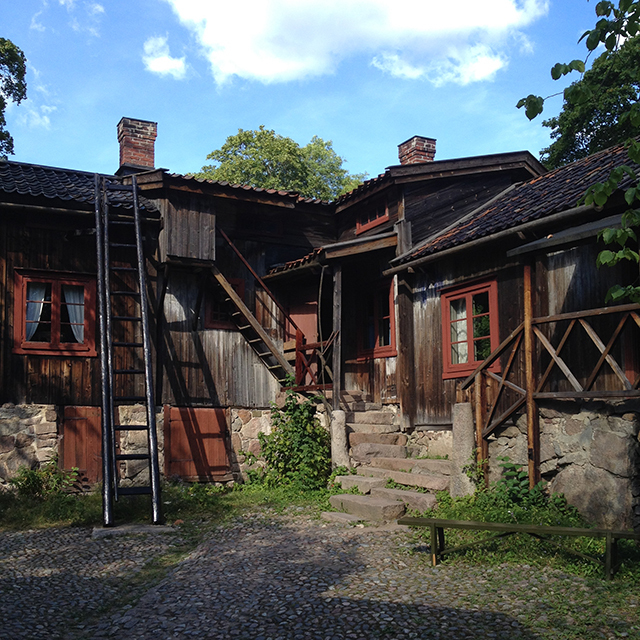 The Luostarinmäki Handicrafts Museum is just a short walk from the busy city center, but feels like another world once you step inside. The wooden cottages were built on this site in the late 1700s and early 1800s as work and living spaces. The Great Fire of Turku in 1827 devastated 75% of the city, including the historic downtown but the Luostarinmäki site and cottages were spared. Posted in Finland, Museums, Turku Sites on August 24, 2015 by Sarah.